Having trouble getting rid of your tangles in your hair? Keep reading to find out what works! Tangles are inevitable sometimes, we all get them no matter what our hair type is. From fine hair to thick hair to even the curliest of curls, we all get tangles and knots in our hair at some point. First off you need to make sure you are giving your hair the right amount of conditioner! If you have fine or thin hair, only put the conditioner from the mid-shaft down to your ends. This will prevent oily build up on the top of your hair and still give the detangling effect on your ends. Conditioner softens and smooths out your hair, which will allow your brush to glide easier through your hair when brushing. When choosing a tool to brush your hair with, the best tool to use is a wide – toothed comb! Start at your ends and work your way up to the top to prevent breakage and damage to your hair. You especially want to be more careful when your hair is wet because it has more elasticity to it when wet. If your combing or brushing your hair when it is dry, make sure to put a few drops of shine serum in it beforehand. This will also help protect your hair from damage, breakage, and the tangles! 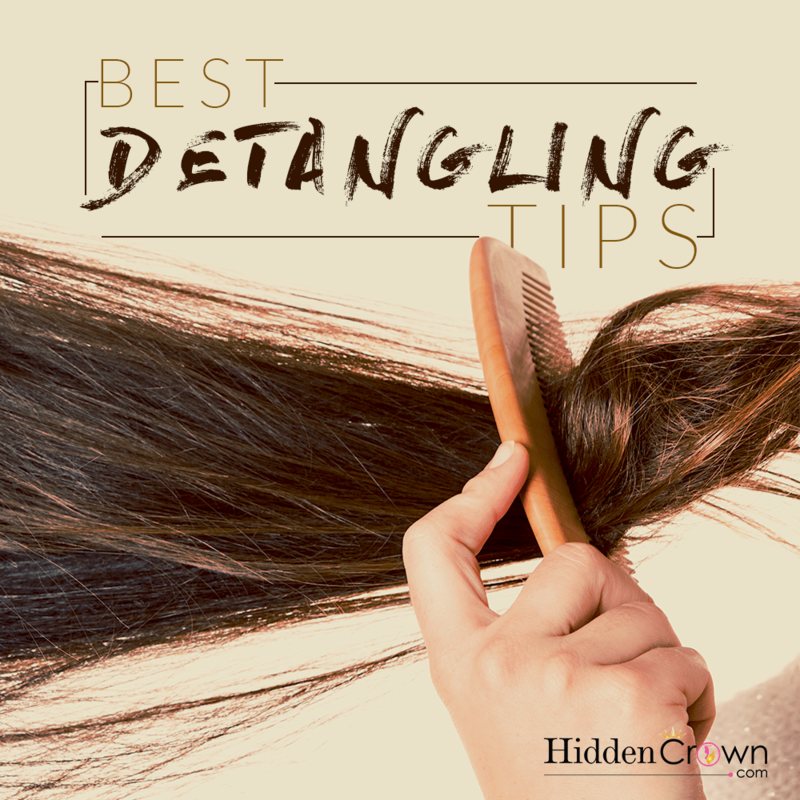 We have used these tips religiously and we hope they help you get rid of your tangles too!